Anamaria Maghetiu graduated from the University of Waterloo in 2009 with a Bachelor of Arts in Honours Legal Studies. She attended Law School at University of Western Ontario and she received her Juris Doctor in 2013. 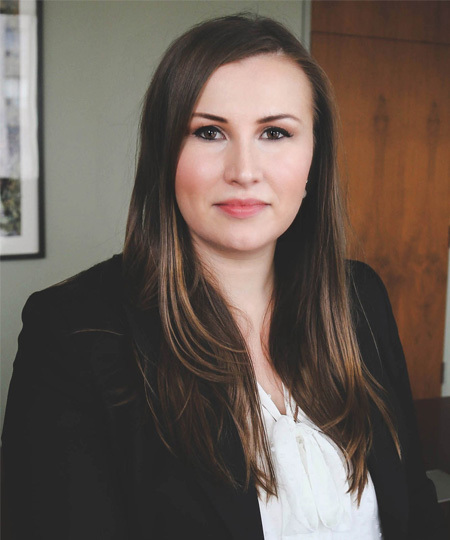 While attending at University of Western Ontario, Anamaria volunteered for Pro Bono Students Canada and the Family Law Project, directly assisting family law litigants of limited means. Anamaria was awarded the 2012 Family Law Project award in recognition of being an outstanding participant in the program. Anamaria was Called to the Bar in 2014, after articling with a Windsor law firm practicing primarily in civil and commercial litigation. She joined the firm in 2015 as a litigation associate and specializes primarily in the area of family law. Anamaria is actively involved in representing clients in court proceedings and in the negotiation of separation agreements. She assists clients with all matters related to family law including divorce, custody, access, child support, spousal support and property division. Anamaria practices in both the Ontario Court of Justice and the Ontario Superior Court of Justice. Anamaria is a member of the Waterloo Law Association, and a former member of London Lawyers Feed the Hungry. In her spare time, she enjoys cooking, spending time with friends and family and being in the outdoors.